If you have lots of words to write, this lay out is perfect for you as it allows you to highlight your content in a whole dedicated column. 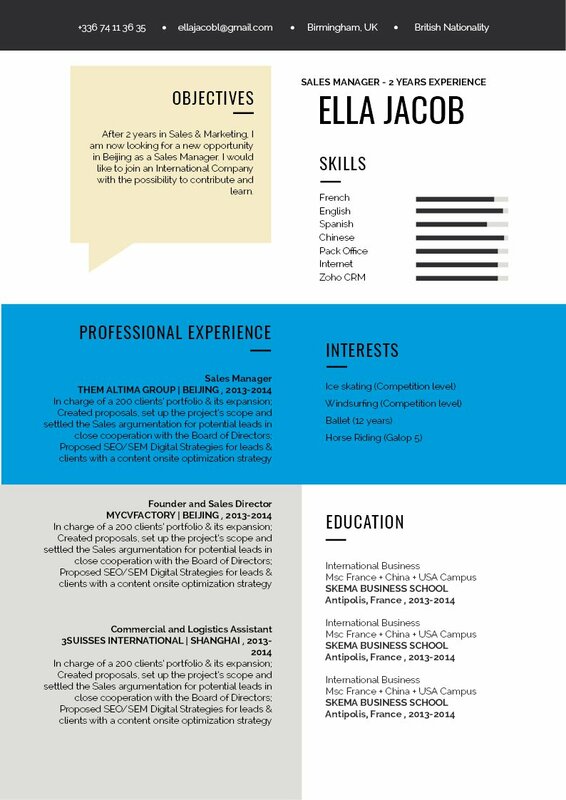 CV template to download "Magnificent"
The Magnificent Resume has a simple yet functional design that will greatly help you on your job search! This functional cv possesses a clean and comprehensive structure that can expertly present all your qualifications to your potential employer. Applicants with a good professional and educational background will find this resume template a great fit since all the pertinent information written on it is clearly presented. 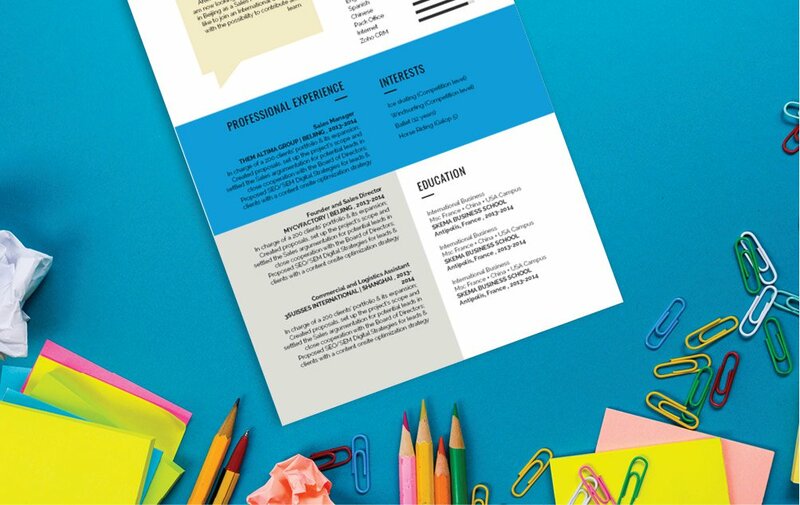 Because of this—this is one CV template that is perfectly applicable to all types of jobs and is sure to help you land your dream job! 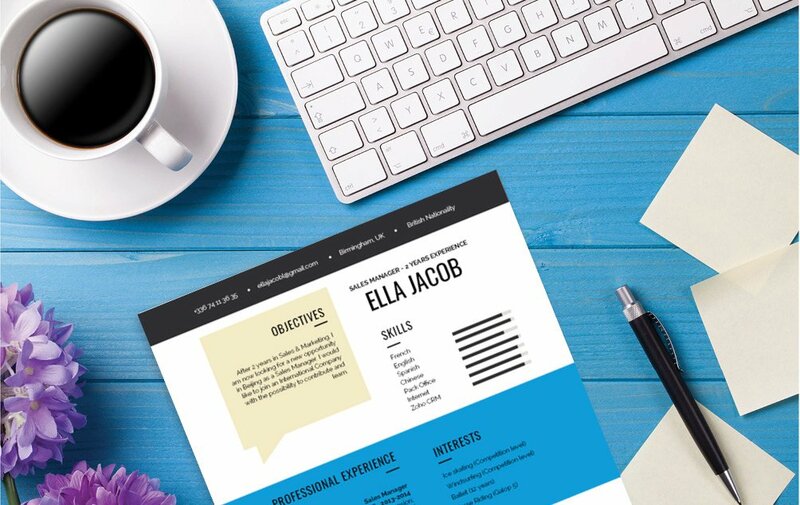 How can you create a resume that will effectively attract the attention of your potential employer ?—That's simple, all you need is a clear and comprehensive resume design. Your resume might just land you that dream job ! One of the major factors in making a good resume is how clear its lay-out and over-all structure is. Typically, resumes are just reviewed for about 10-30 seconds—it doesn't get fully read the first time! So it's important to create a well-organized resume structure. To achieve this, use professional looking fonts such as Helvetica or Calibri, choose a font size between 11 and 12, and use italic/bold font styles to guide your reader on the key parts written in your CV. 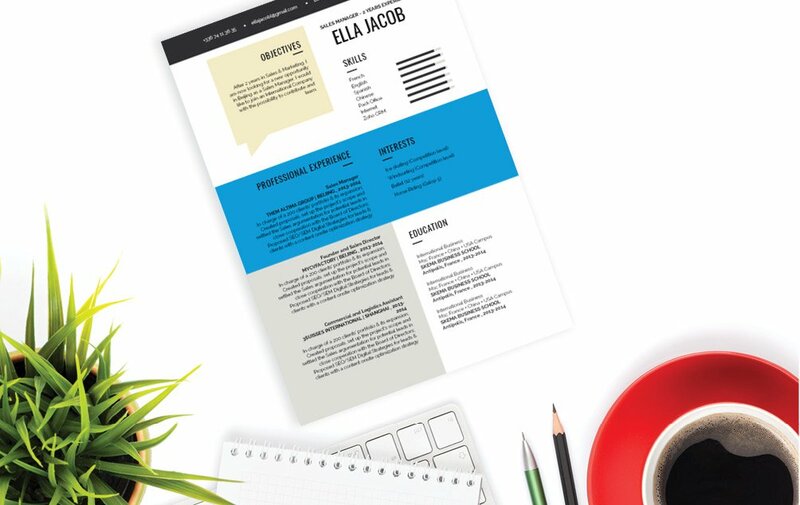 The use of graphics and bullet points can also help put emphasis on major sections of your resume. While headings and subheadings can give your resume a logical format that makes it easier to read.